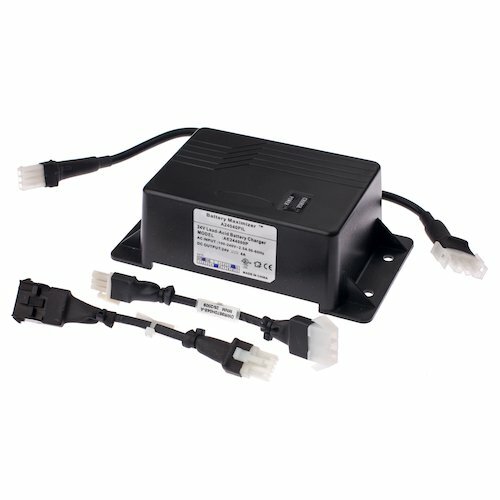 This 24 Volt 4.0 Amp on-board battery charger with a universal harness for the Pride Rally (SC150/SC151/SC155) and Victory (SC160/SC1600/SC170/SC1700) scooters comes with a 24 volt 4.0 Amp on-board charger and a universal harness. If you have any questions about this product by Monster Motion, contact us by completing and submitting the form below. If you are looking for a specif part number, please include it with your message.